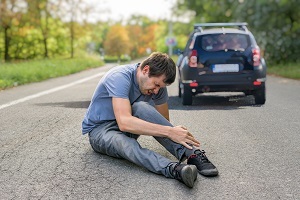 How Bad Drivers Cause Serious Pedestrian Injuries | Law Office of Andrew G. Rosenberg, P.A. Florida is one of the most dangerous states in the U.S. for pedestrian deaths. There are a variety of reasons why Florida drivers don’t seem to be as careful around those traveling on foot as they need to be. If you live in Florida, it’s important to understand why there are so many pedestrian accidents and why you should obtain legal representation if you’ve been injured by a vehicle while on foot. Distracted driving. Texting, talking, eating, or inattentiveness to the road are major factors in many pedestrian accidents. Electric vehicles. Hybrid or all-electric vehicles often run more quietly than combustion engine vehicles, and pedestrians may not hear this type of vehicle coming until it’s too late to get out of the way. Drunk driving. Driving while intoxicated on alcohol, illegal drugs, prescription medication, or over-the-counter remedies results in slower reaction time, interferes with vision, and causes poor judgment of distance and speed. A drunk driver may never see a pedestrian until it’s too late. Data from the NHTSA shows that there were almost 6,000 pedestrian deaths nationwide in 2016—an increase of 9 percent over the previous year. Florida ranked third in the nation behind California and Texas for pedestrian deaths in 2016, with 652 lives lost. Twenty percent of all pedestrian deaths were children aged 14 and under, and another twenty percent were age 65 and older. The injuries that a pedestrian sustains after being hit by a car are often severe and can be life-altering. Contusions, bruises, cuts and scrapes, and broken bones are common, and the chances of sustaining a traumatic brain injury (TBI) are very high. A TBI can result in the need for years of intensive (and expensive) care and require long-term rehabilitation. Injured pedestrians may also be able to seek additional compensation for the mental anguish, pain, and suffering that the accident caused. If you or someone you love suffered injuries in a pedestrian accident, legal assistance is available. The Law Office of Andrew G. Rosenberg is here to help you start the financial recovery process, so you can focus on the most important thing after your injury—getting better. Call us, or use our online contact form to arrange a free consultation to see how we can serve you.